A study on discrimination in urban housing rental preferences, to be published in a forthcoming issue of Economic and Political Weekly, shows high levels of exclusion of Dalits and Muslims in the five metropolitan areas of NCR. 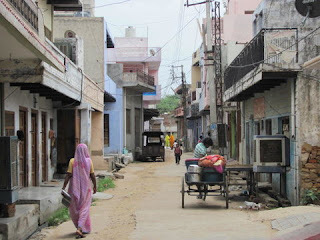 The team of researchers, led by Prof S K Thorat, chairman of the Indian Council of Social Science Research, and comprising scholars such as Anuradha Banerjee, Vinod K Mishra and Firdaus Rizvi, covered attempts to get houses on rent in Delhi, Faridabad, Ghaziabad, Gurgaon and Noida between January and March 2012. The methodologies included contacting the “home-providers” via telephone or meeting them face to face. In both the methodologies, the home-seekers had the same credentials but for their names that indicated their caste and religion. The telephonic audit had a total of 1,469 home-seekers, 493 each bearing upper-caste Hindu, Dalits and Muslim names. While not one of the 493 high-caste home-seekers received a negative response, about 18 per cent of Dalits and 31 per cent of Muslims faced outright rejection, found the study. Together those receiving either a negative response or a positive one with conditions attached worked out to 41 per cent in the case of Dalits, and around 66 per cent for Muslims. The face-to-face audit covered 198 home-seekers, with 66 high-caste Hindus, Dalits and Muslims each. While 97 per cent of upper-caste Hindus got a positive response, 44 per cent of Dalits and 61 per cent of Muslims faced rejection. Together those receiving either a negative response or a positive one with conditions attached worked out to 51 per cent in the case of Dalits, and 71 per cent for Muslims. In other words, the chances of Dalits and Muslims finding a house fell in the case of face-to-face contact. It also means that a significant number of Dalits and Muslims have to spend much more to stay in accommodations in NCR than their upper-caste counterparts. “Non-monetary motive often prevails among landlords renting out houses,” says the study, which chose Delhi for the research as it is often considered amongst the most migrant-friendly and cosmopolitan cities in India. The study focused on identifying discrimination in the NCR areas from both the supply and demand ends. The demand side included Dalit and Muslim home-seekers facing unequal treatment; and the supply side included discrimination practised by the “house providers”, including landlords, real estate agents and brokers. While the broad results were categorized as positive and negative, positive was further broken down into differential demands.